It all started with a caravan and a field full of llamas. That was back in 1995 when fresh faced archaeology graduate Todd Trethowan first learned how to make Caerphilly during an apprenticeship with the late Chris Duckett in Somerset. 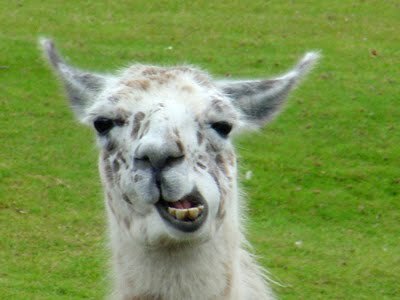 As well as being a third generation cheesemaker and one of the last farmhouse Caerphilly makers in the country, Duckett was was also a keen llama enthusiast with a field full of the beasts, which is where the young Trethowan ended up staying. Trethowan was hardly a cheese novice when he arrived at Duckett's. 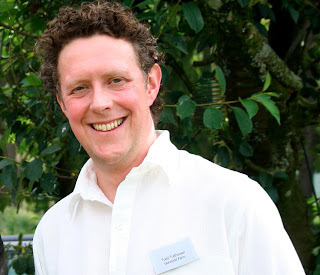 Before going to univeristy, he had worked for Neal's Yard in London and had paid his way through college by working for cheesemakers such as Dougal Campbell at Tyn Grug and Charlie Westhead at Neal's Yard Creamy. But it was his time with Duckett that really laid the foundations for Trethowan to set up his own dairy at the family farm in Ceredigion, West Wales, which is where he still makes his unpasteurised Gorwydd Caerphilly today. 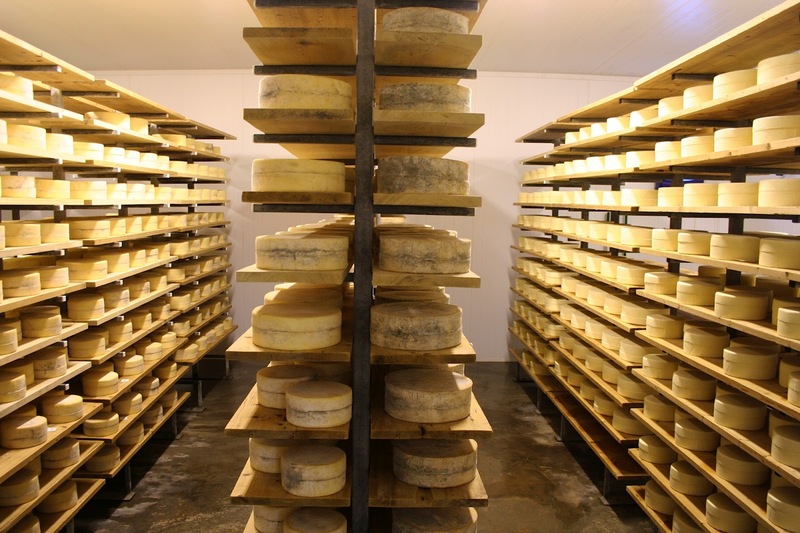 Duckett sadly passed away in 2009, but his cheese is still made at Westcombe Dairy. 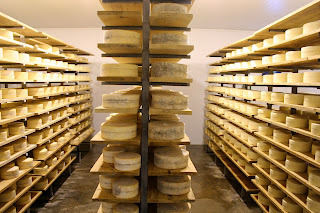 Run by Trethowan and his wife Jess in partnership with his brother Maugan and his wife Kim (who used to work for Neal's Yard Dairy), Trethowan's Dairy makes around forty of the four kilo cheeses each day. These are dry salted in their moulds and then brined, before being matured for around two months. 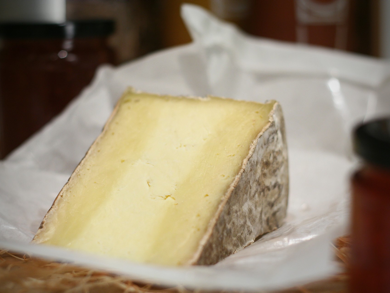 The final cheese has a velvety grey rind and two-tone interior, comprising a creamy outer layer called 'the breakdown' and a firm but moist centre layer. Each element adds a different flavour with lemony notes from the central stripe, creamy mushroomy flavours from the breakdown and an earthiness from the rind itself. 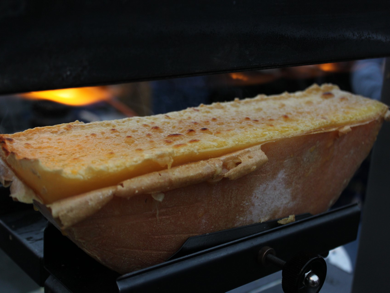 Gorwydd follows in the tradition on the original farmhouse cheeses that were popular with Welsh miners, who legend has it ate the cheese to replace the salt they had lost through sweating. It's a million miles away from the crumbly block Caerphilly on supermarket shelves that is almost indistinguishable from factory-made Cheshire and Lancashire. The company still has market stalls at Borough and St Nicholas in Bristol, where it serves 'the ultimate cheese toastie', made with Keen's cheddar, and raclette using Montgomery's Ogleshield (right). It also attends festivals, including last year's Glastonbury, and runs regular cheese tastings and talks with food and drink writer (and fellow cheese blogger) Fiona Beckett as part of The CheeseSchool. The company's main business, however, is selling through delis, farm shops and cheesemongers, plus Waitrose, as well as at its own own store in Bristol, which opened four years ago.